The Best Non-Surgical Makeover in the USA in 2018 for MyFaceMyBody--with judging by Plastic Surgeon Paul Nassif, of TV’s “Botched"
He also lead the USA to take 2nd Place in World Competition for the Best Non-Surgical Facial Rejuvenation at the Aesthetic & Anti-Aging Medicine European Congress (AMEC) in Paris, France. His Clinical Practice is ranked in the top 1% of all Allergan and Galderma clinics in the USA and his patients voted him the Vitals.com Patients Choice 5-Year Award and The Compassionate Physician 5-Year Award. Dr. Lee specializes in the ultimate in minimally invasive cosmetic procedures to help you look younger, without surgery. He is an Internationally Published Aesthetic Medicine Author and lectures and teaches physicians and nurses his advanced techniques. Dr. Lee also serves on the National Advisory Boards of Allergan (Botox and Juvederm), Galderma (Dysport and Restylane), Air-Tite (microcannula), and Eclipse Aesthetics (RF, microneedling, and PRP). The very BEST Plastic Surgeons primarily have their assistants do their non-surgical procedures. Recognizing Plastic Surgeons were focused upon Surgery, Dr. Lee decided to dedicate himself to helping you look younger, without surgery. Join us for a complimentary consultation with him at his Las Vegas, NV area facility. Dr. Lee teaches physicians the Advanced Anti-Pain Microcannula combination of wrinkle relaxers and fillers. We laser to shrink fat cells and rejuvenate skin using radio-frequency (RF) for sun damage, pores, and skin tightening. Our medical aesthetician performs skin and hair rejuvenation and enhancement treatments. We offer anti-pain microcannula, the anti-bruising AccuVein viewer & the option for anti-pain PRO-NOX for the ultimate in your relaxation and comfort. BOTOX is a wrinkle relaxer injectable treatment to diminish signs of aging. PRP uses your own super-concentrated human growth factors to stimulate the production of your own collagen and elastin, reversing the effects of aging. BEST Non-Surgical Makeover of the year! 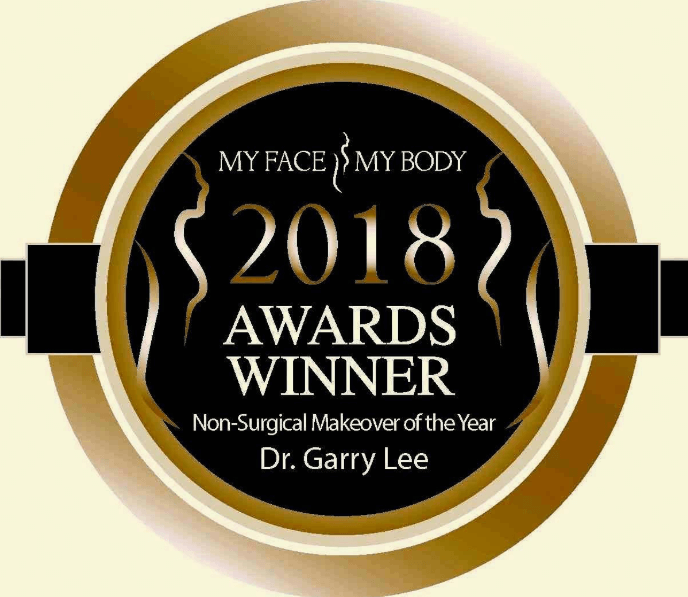 Dr. Lee is the National Award WINNER for the BEST Non-Surgical Makeover of 2018 for MyFaceMyBody USA--from hundreds of the top plastic surgeons, dermatologists, and aesthetic physicians in the country. 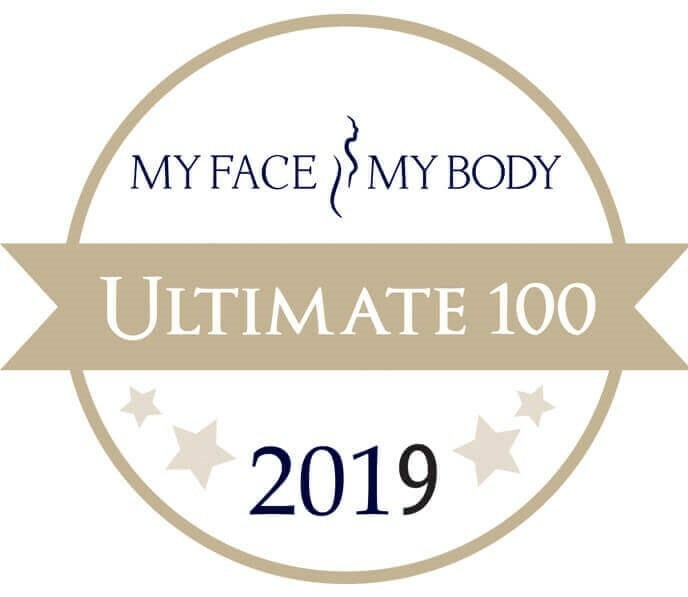 MyFaceMyBody is the Largest and Most Recognized Aesthetics Awards Program in the World. The USA 2018 Gala was on November 9, 2018, at the Beverly Wilshire Hotel in Beverly Hills, CA, the site of the Julia Roberts movie, Pretty Woman. The Gala Ceremony was attended by 350 of the industry’s leading professionals, top plastic surgeons, brands, journalists, celebrities and beauty bloggers. Celebrities included Dr. Paul Nassif from Botched, Dr. Bill Dorfman and Dr. Brian Boxer Wachler. Actors include: Emmanuelle Vaugier – Mistresses and Two and a Half Men, Alice Amter, Big Bang Theory, Sheldon Bailey, Game Shakers, and Massi Furlan from American Crime Story, Versace and many more. The awards were presided over by MyFaceMyBody Director, awards founder and host of TV show ‘Modern Male Mindset,’ Mr. Stephen Handisides. Judging was by a panel of leading experts from around the globe, including: Dr. Paul Nassif (TV shows Botched and Botched By Nature), Dr. Craig Ziering and Mr. Michael Berry from the US; Dr. Vincent Wong, Dr. Sherina Balaratnam and Dr. Anna Brilli from the UK; Dr. Mucio Porto from Brazil; Dr. Anthony Lin from China; Dr. Cat Stone from New Zealand; Dr. Nicole Yap, Dr. Varun Sharma, and Kelly George from Australia; and Dr. Nicole Kanaris from South Africa. The MyFaceMyBody Awards are also held in London, Sydney, and China. Garry R. Lee, M.D. is a physician and nurse instructor for Allergan (BOTOX and Juvéderm), Galderma (Dysport and Restylane), Air-Tite (microcannula), and Eclipse Aesthetics. 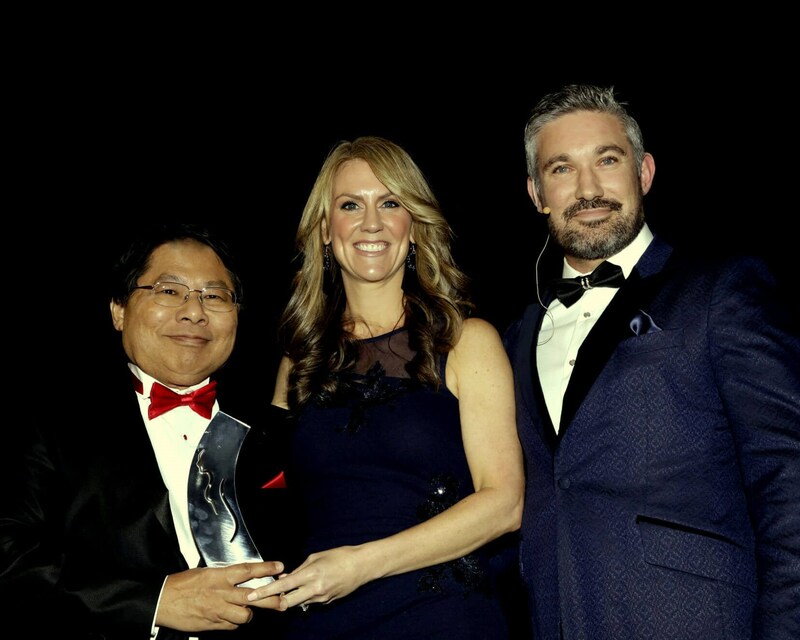 Dr. Lee was the winner of The Aesthetic Award as the Best Facial Injectable Enhancement Physician in the USA. He serves on the Allergan Medical Facial Aesthetics National Advisory Board, the Allergan New Core National Advisory Board, and the Galderma National Advisory Board as one of the preeminent physician innovative leaders in the U.S. for BOTOX, Juvéderm, Dysport, and Restylane. At Look Younger MD, Dr. Lee is internationally recognized for his amazing non-surgical cosmetic procedures, for which he is sought after as a dynamic speaker and an acclaimed physician instructor. His most common and popular injectables include BOTOX, Dysport, Juvéderm, Voluma, Restylane, Sculptra, microneedling, and PRP—for which he is the designated State of Nevada physician instructor. "Judi is amazing she did my dermaplaning and facial and It was hands down the most relaxing and amazing experience. My skin feels new and rejuvenated. If your looking for someone who takes their time with your skin Judi is your girl !!! Also Dr. Lee did my lip fillers and Botox on my forehead and crows feet and WOW AMAZING! He is patient listens to what you want and over achieves every time. His work is magazine worthy and you leave feeling so confident with minimal bruising and swelling with his top of the line techniques. Stop waisting your time trying to find a good Dr. because he's your guy ! If I could rate this place a ten I would ! I can't wait to go back for more treatments !!" "Dr. Lee and is staff are very professional and courteous. Opened in 2001,and through the years Dr. Lee with all of his expertise and continuing learning of the newest and best cosmetic procedures that provide exceptional treatments, resulting in a natural overall appearance. Dr Lee has received countless awards and accolades as a distinguished doctor and instructor." "I absolutely cannot stop raving about Dr. Lee!! I don't even know where to begin... I've been seeing him now for about 5 months and I am amazed with the results! I completely trust Dr. Lee with my face and for anyone interested in any type of injectables-- he is your guy. He is honest and does all he can to make you look your best! Not only is Dr. Lee a best selling author, but he is a multiple award winner and even won an award for best facial injectable enhancement physician in the US!! If you really want to be amazed, take a look at his instagram @lookyoungermd702 ...the results speak for itself. He is truly a "miracle worker". Would never trust anyone else the way I trust Dr. Garry Lee!! At my first consultation, Dr. Lee listened to my concerns of under eye hollows, acne and minor wrinkles very carefully. He then pointed out that it was not the hollows under my eye that needed filling, but it was actually the hollows in my temples that needed to be filled in order to sort of lift everything back up into place!! I was amazed-- I didn't even know temple fillers were a thing! Two rounds of sculptra later and I could not be happier with the results. No under eye hollows, no hollow temples. Dr. Lee KNOWS his stuff!! I've also been getting his triple tight technology treatment and that is literally one of the best things EVER. Its radiofrequency along with PRP microneedling and these treatments have some MAJOR results. It has minimal downtime, but a couple days later and you. are. glowing. You would think that having needles pierced into your skin and your own blood platelets rubbed into your face would be a pretty painful and uncomfortable situation, but it is far from that! It it literally 100% pain free!! No joke! This TTT has also played a huuuge roll in keeping my acne in check! Every time after I have a session done, I stay zit free for a few weeks after! Also can't forget about the staff over at Look Younger Md! Totally in love with those ladies over there!! These ladies make the whole experience of going to the doctor feel like just hanging out with a bunch of friends!! I look forward to every appointment here and will keep on raving about Dr. Lee to anyone who is willing to listen!!!" "I've been seeing Judi for facials, since I was in high school. It's been at least 10 years. She is super professional and does such a great job. I've seen major improvement with my skin, thanks to her! I love the Glo products and appreciate all her recommendations when I'm having issues with my skin. The facial experience is so relaxing and I love talking with her. I always enjoy coming in for my monthly facial, and will be a forever client." "Amazing results! Dr. Lee and his staff listen to your needs, and they take the time to explain what to expect. They are attentive to following up, with aftercare. He is very skilled at sculpting your areas of concern, to provide an asthetically pleasing outcome!" Browse our reviews to hear what our patients have to say about their results. Meet our experienced and highly trained team at Look Younger MD. Learn more about how to contact us and view where we are located. Tour our state-of-the-art, advanced Las Vegas, NV area facility.